The Mountain Home Parks and Recreation will host a valentine's dance at the L. C. Sammons Youth Center in Cooper Park Saturday evening from 7:00 until 10:00. The dance is for youth in the sixth, seventh and eighth grades.The cost for the event is $3 per person for youth center members and $5 per person for non-members.The evening will be packed with fun, including approved music and lighting provided by youth center staff, dance contests, door prizes, free snacks and punch, a photo booth, with photos available for $5 each, song requests and dedication hour. The event will be chaperoned by parks and recreation staff and community volunteers. The L.C. 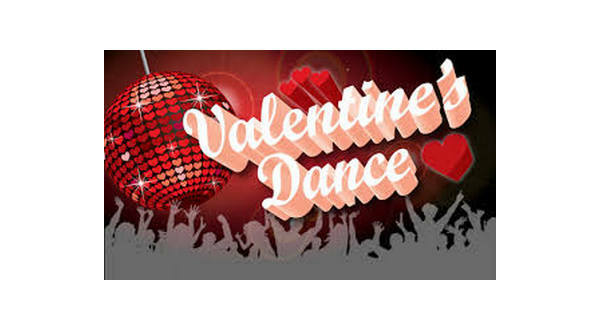 Sammons Youth Center will be closed to youth activities due to preparation for the valentine's dance. In the event of inclement weather, check the youth center website or tune in to KTLO for any cancellations.